When I first read the challenge for this week over at the Fantabulous Cricut, I was stumped. I AM not a "camping" type of gal. I don't camp, I don't hunt, I don't fish... HOWEVER, I DO have a previous baby niece who just went camping/fishing last weekend!! I had some adorable pics of her on my iPhone that my family sent so I had them printed at Walgreens while I was at work today and threw together this layout when I got home. LOVE how it turned out!!! I facetimed my niece and showed her and got her approval as well. She said when she's older she's going to draw things and I'll create the scrapbooks :-) sounds like a game plan to me! I used 3 Cricut cartridges for this layout: Everyday Paper Dolls for the fish, Simply Charmed for the fishing rod and "Just Because" cards for the phrase. I used the Swiss Dots embossing folder in my cuttlebug on "catch" and "later" and stamped the date with my new "Smash" date stamp. My favorite part (other than the pics) is the fishing line! Hope you enjoy! Oh this is too cute!!! Love the pink fishing pole!!! 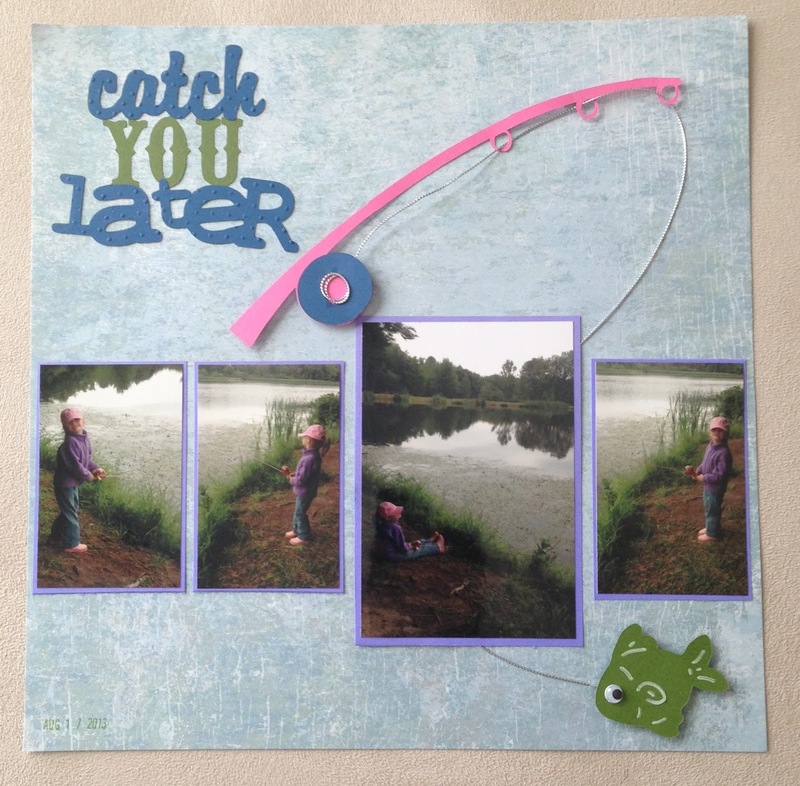 What a super layout, I really like the pink fishing pole! !